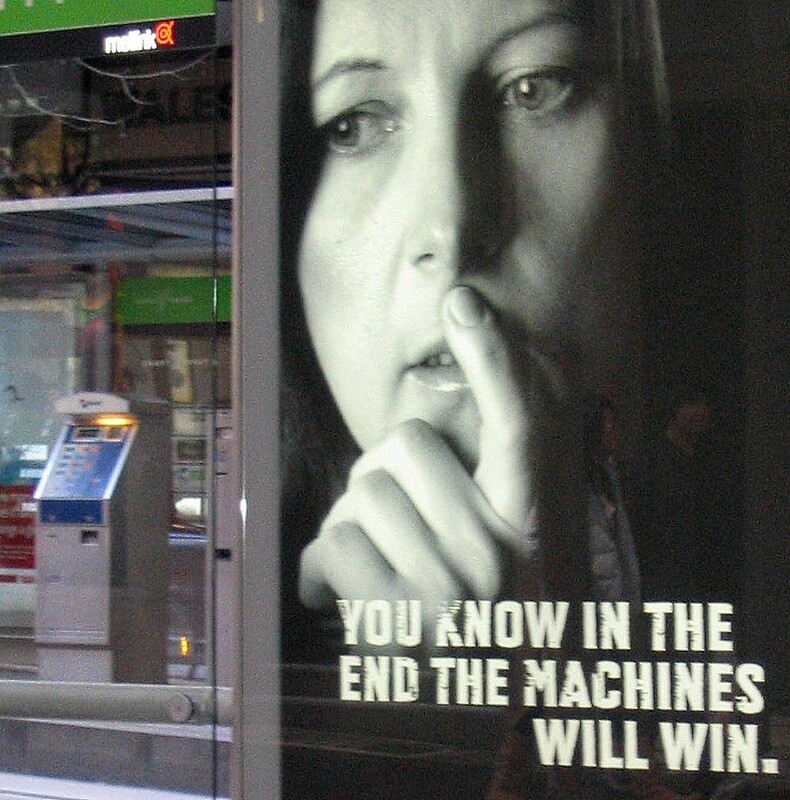 Here’s another in my series of old photos from ten years ago… this time, June 2008. You might remember that Frank Woodley did TV ads for Metlink, to encourage bus usage. 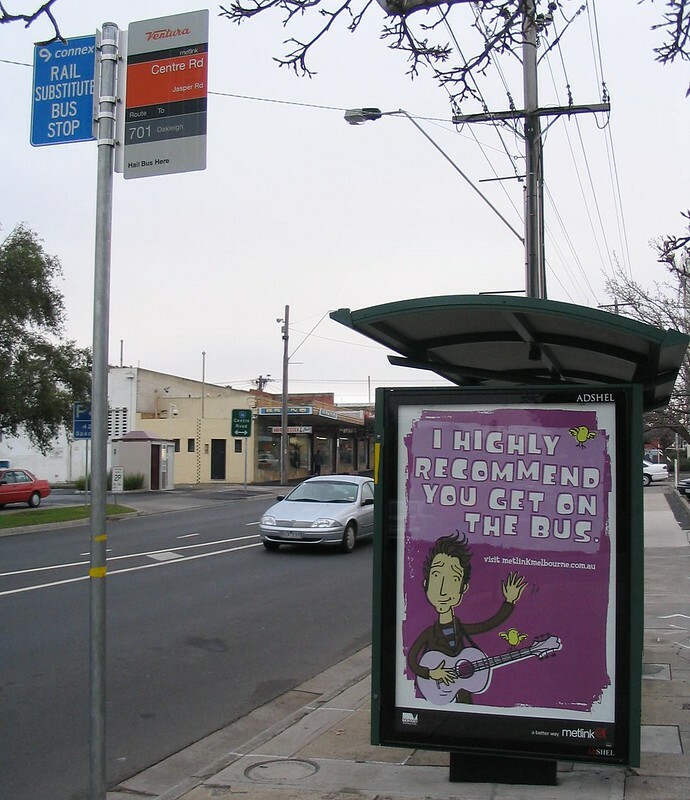 Here’s the cartoon version, on a bus stop. 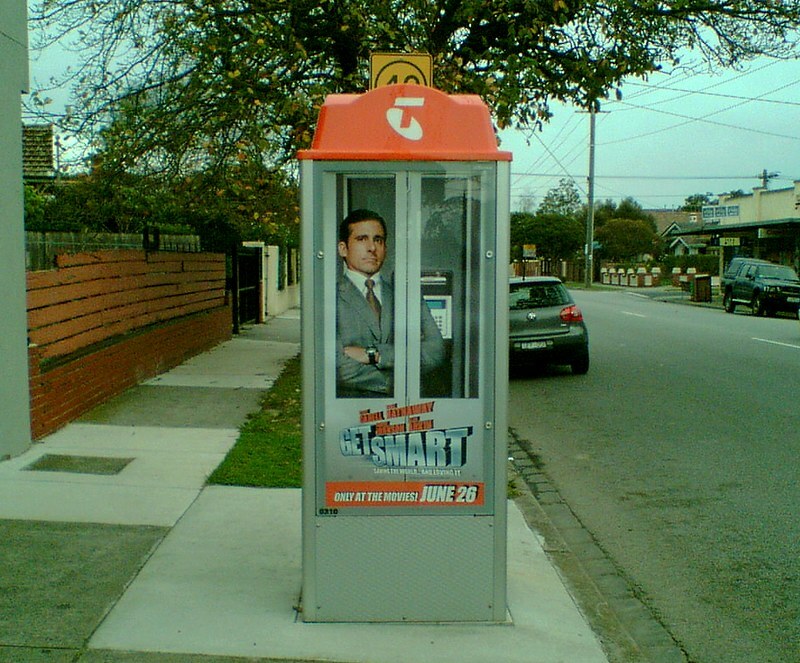 Speaking of advertising, I quite liked this ad for the Get Smart movie (originally posted here). Come to think of it, I’ve still never seen the movie. 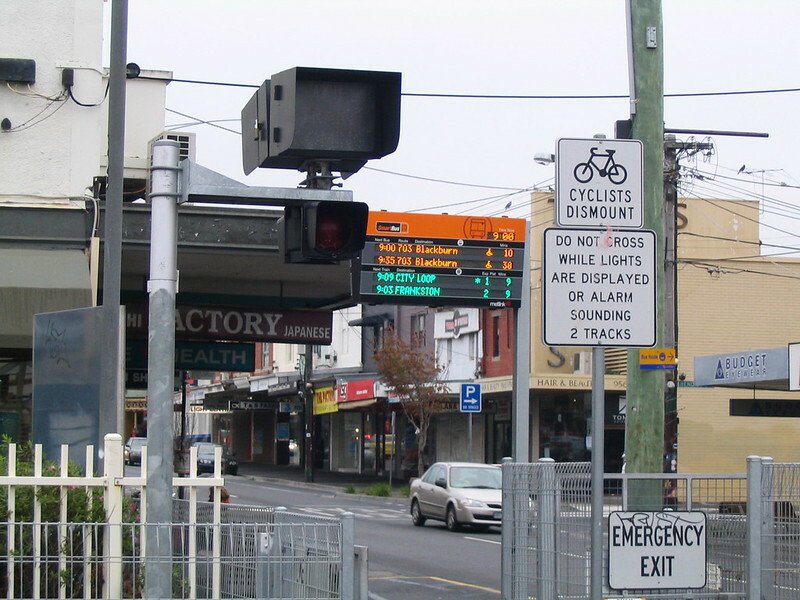 The signage at Bentleigh station, back when the train times worked. 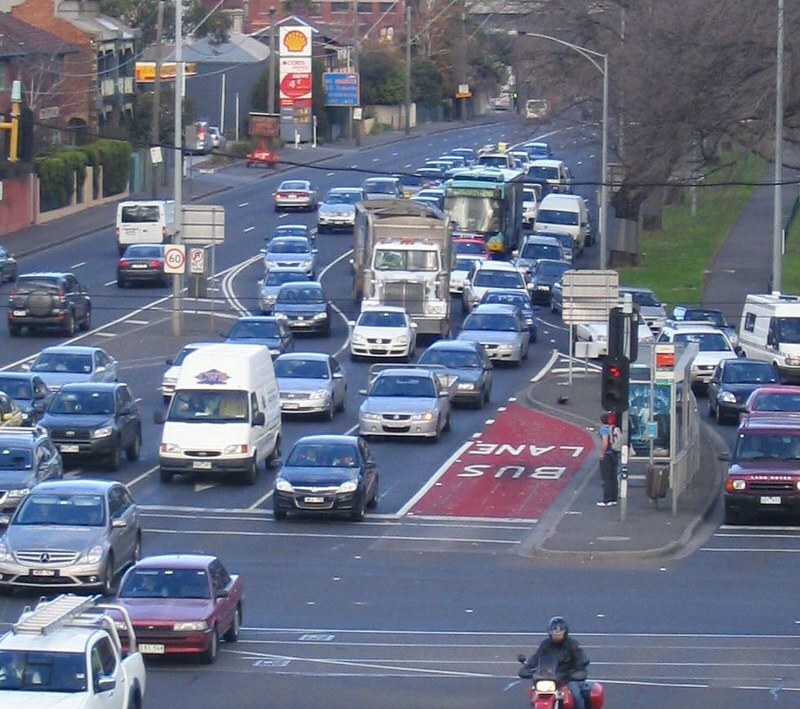 Punt Road – then, as now, sometimes the buses can’t reach the bus lane because of all the traffic. Hopefully the re-design of this intersection will fix that. 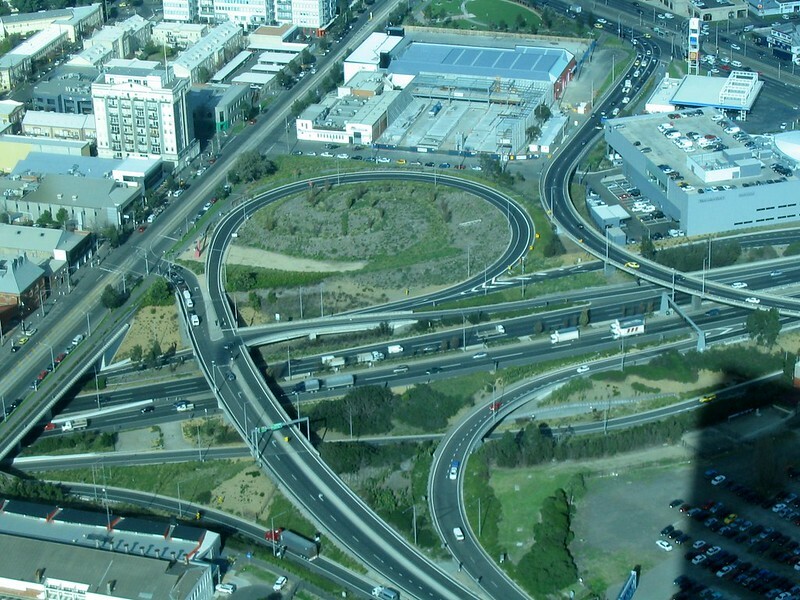 The view of the Westgate Bridge/Kingsway intersection. It conveys the vast amount of space used by motorway interchanges. The city skyline. Note despite the two lanes of traffic across Princes Bridge, the cars were still queuing. What if to get a Slurpie at 7-11, you first had to buy a voucher from a tram conductor? 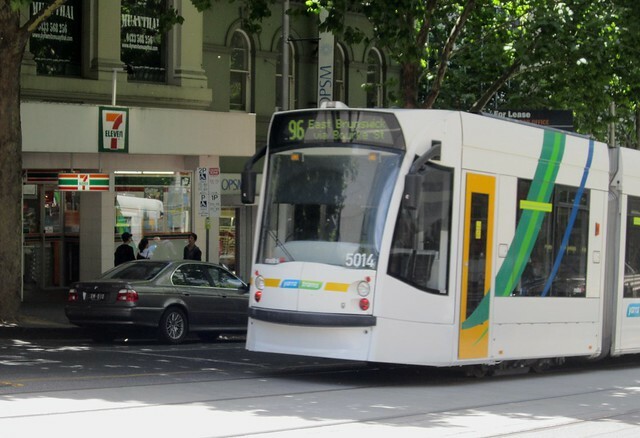 Some would argue the situation now, where no tickets can be bought on trams, and Myki cards have to be bought and pre-loaded (at 7-11 or elsewhere) is equally silly. In fact, if you look at the recent (the past 30 years or so) history of public transport ticketing in Melbourne appears to show repeated attempts to move to self-service, pre-purchase tickets. One way of looking at it is to improve the efficiency of the network. Trams are no longer staffed by two people — one could argue this paved the way for service expansion (particularly on Sundays; frequencies pretty much doubled in 1999). Buses didn’t change their staffing — bus conductors were phased-out long ago. Many stations no longer have a staff presence. Busy stations can get by with fewer staff than in the past — who remembers the vast number of ticket checkers at CBD stations in peak hour, and conversely the long queues to get in and out of places like Flinders Street on weekends because there were only a couple of staff on duty on the gates, and only a couple of gates open? The other way of looking at it is a steady reduction in the quality of customer service. 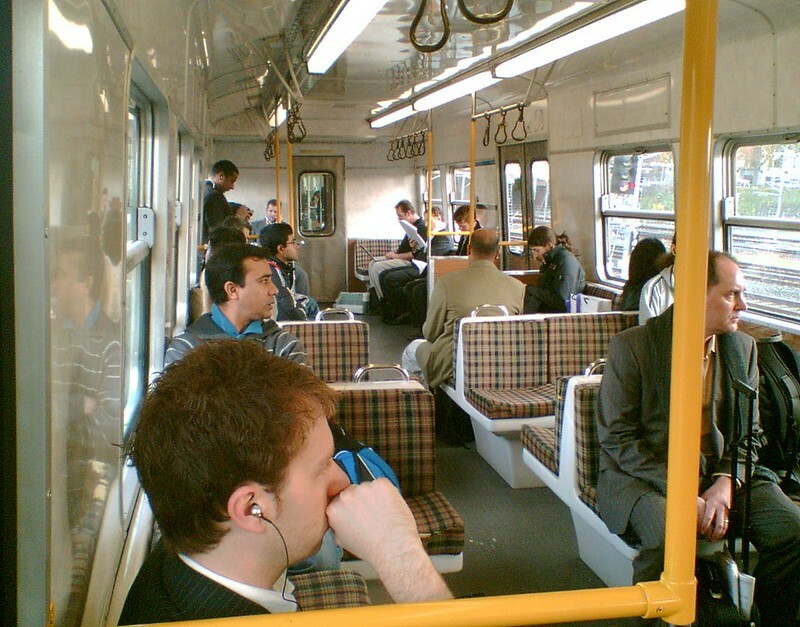 Tram passengers could previously board and sit down and someone would come to them and sell them a ticket (including paying with notes), give them travel advice, and provide a security presence. Similar on railway stations, with the growing sense of unease on unstaffed stations (particularly at night) enough to prompt the Coalition in the last election to pledge armed guards after 6pm — despite that about half of reported assaults on railway stations occur at just ten stations, and much of it is before 6pm. If one were to theorise that the bureaucracy has been trying for some time to move to self-service tickets, and off-board payment, it looks like they have finally won. It wouldn’t surprise me to see one or both major parties going into the next election with some kind of short-term ticket-related pledge. Daily tickets will be available to passengers on all Melbourne trams by the end of September, Transport Minister Peter Batchelor announced today. 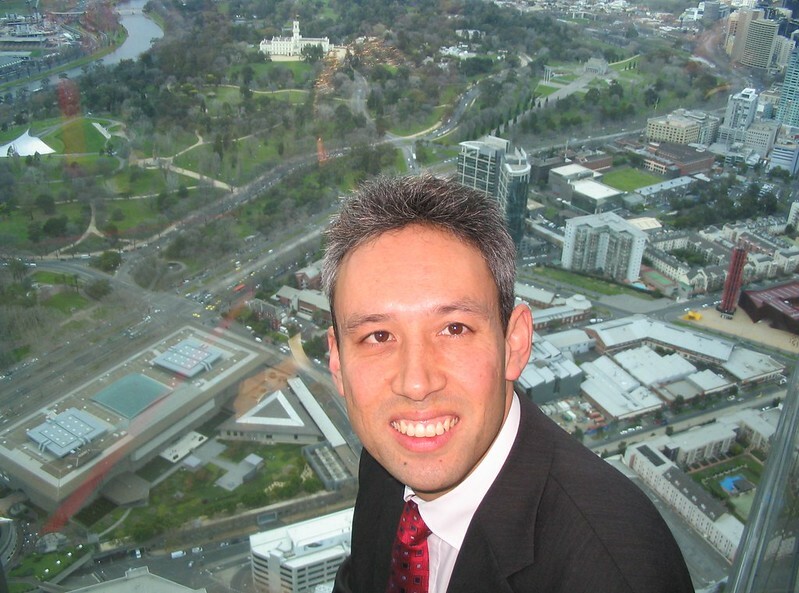 Reversing one of the great debacles of the Kennett Government’s automatic ticketing system, Mr Batchelor said the conversion of tram ticket machines to introduce daily tickets would start from the beginning of September. “By giving passengers the chance to buy a daily ticket on every tram, the Bracks Government is giving the people of Melbourne what they told us they want,” he said. If you want to see short term tickets restored, now would be a good time to write to your state MP, and to sign the MykiSingles.com petition. 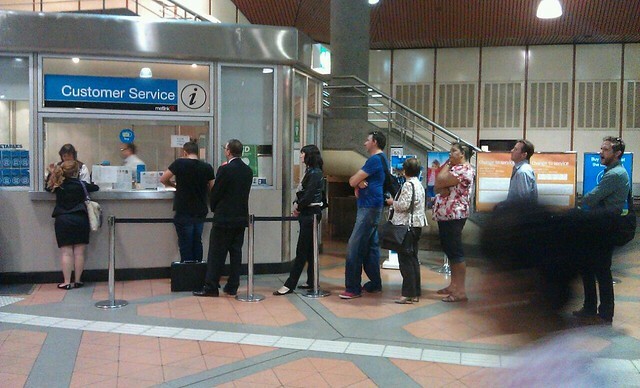 and: 27/12/2012: Yes, there will still be paper tickets post-Metcard — so why not offer them more widely? Update: If you saw this opinion piece in The Age today, it’s probably worth noting that while the author made some good points, he also made a lot of factual errors. Yes, there will still be paper tickets post-Metcard — so why not offer them more widely? This Friday is the last day for Metcard. But if you thought it was the end for paper tickets, think again. Even aside from V/Line tickets, they will live-on. As noted in today’s Age, despite the claims from government that it’s impossible to have paper tickets on a system that’s moved to Smartcards, there are several scenarios in metropolitan areas where passengers will continue to be issued with paper tickets. This is a Day Pass, basically a zone 1+2 daily ticket. As you can see, it bears an amazing resemblance to paper tickets used before Metcard. As a Victorian Seniors Card holder you can exchange your Free Travel Vouchers for a Day Pass as an alternative means to travel on public transport instead of myki. The Day Pass is not available for sale to the general public and is ONLY issued under special circumstances, or to certain concession groups that are redeeming free travel entitlements or vouchers. This Day Pass entitles you to one day’s travel on public transport in Zones 1 and 2 in Melbourne, as well as on regional town bus services where myki is operating. You must use a myki for any other travel undertaken. In order for the Day Pass to be valid for travel, it must be issued to you at a staffed train station with the day, month and year of your intended travel, hole-punched. A Day Pass that does not have the day of intended travel identified in this way is not a valid ticket. And finally, and I find this one the most amusing, they are to be issued to Seniors on Mornington Peninsula bus routes 787 and 788. Why? Because of a shortcoming with Myki. You see, under Metcard Seniors can buy a Seniors Daily for $3.80, covering all travel in metropolitan Melbourne, including zones 1 and 2, and the entirety of routes 787 and 788, parts of which are beyond zone 2. 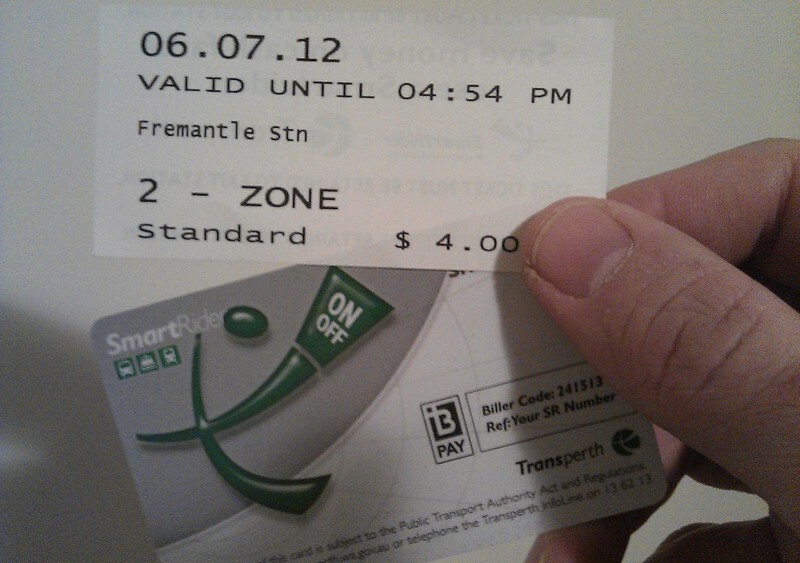 Myki couldn’t handle this. It deals with parts of those bus routes as being in zones 3 and 4, but it treats a Seniors Daily fare as only being valid in zones 1 and 2. Seniors using Myki to travel from say Portsea into Frankston, and then on to central Melbourne and back again ended up paying about $9 for the fare. If you are travelling on bus routes 787 and 788 and making a return trip across three or more zones in one day, seniors on the Mornington Peninsula can buy a Day Pass from the bus driver and continue to pay the Seniors Daily fare of $3.80. The Day Pass is a paper ticket that is valid for one day’s unlimited travel between Zone 3 or 4 on the Mornington Peninsula and into Zone 1 in Melbourne. You can purchase a Day Pass from the bus driver for $3.80 to travel on that day only. Show your Victorian Seniors Card to the driver to request a Day Pass. The bus driver must hole-punch the day, month and year in the Day Pass in order for the Day Pass to be valid for travel. 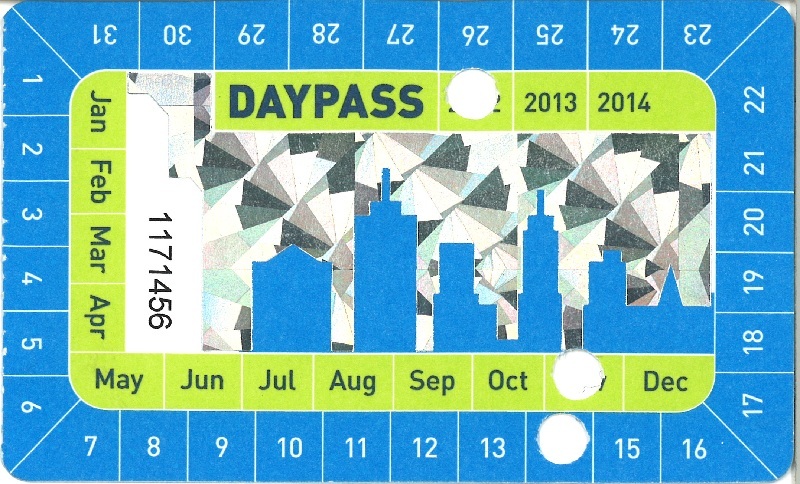 A Day Pass that does not have the day, month and year hole-punched, or which has more than one day, month or year punched, is not valid for travel. When travelling with a Day Pass, you must show it to the bus driver when boarding, to train station staff to gain entry or exit from a gated station, or to an Authorised Officer when requested. You must also carry your Victorian Seniors Card when travelling with a Day Pass. Please note that Day Passes cannot be used to travel on any other day, other than the date specified. What about others wanting paper tickets? There’s no doubt that encouraging as many people onto smartcards makes sense from an efficiency point of view, and for regular passengers there are a number of advantages (even if the implementation has been extremely troubleprone). But for a variety of reasons, not having some kind of short term ticket option opens up a world of problems. I’m not suggesting that punch tickets be used more widely as a short term ticket — nor am I suggesting that the short term cardboard Myki tickets currently used (for now) in regional cities be brought into metropolitan Melbourne. 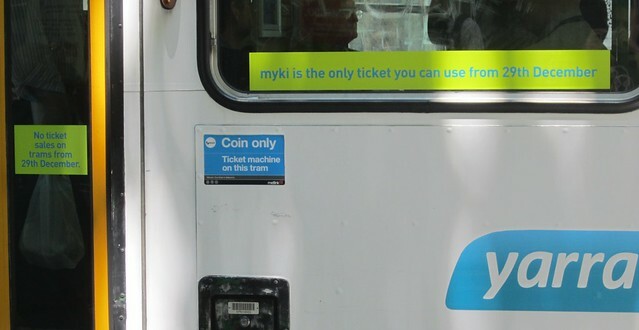 Myki vending machines and bus consoles are capable of issuing receipts for top-ups. These should be used to print paper tickets (as is done in Brisbane and Perth) which can be shown to staff — just like the Day Pass. From December 29th, a month from today, basically all metropolitan public transport will require a Myki card, following the government decision in June 2011 to not implement short term tickets. I expect regular users will adapt. Most of them already have. It’s the occasional users (and that includes locals as well as tourists) who will have four significant barriers to using the system. Metcards allow you to travel on any and all Melbourne bus, train and tram services, even if you transfer from one to another. Tickets are available from Metcard vending machines and counters at train stations, on board trams (tram vending machines only take coins and only dispense City Saver, two-hour and daily tickets), from retailers displaying the Met flag (usually newsagents and milk bars) and the Met Shop. You can purchase tickets directly from the driver on bus services. Obviously in time this information will get updated — just in the last few days Lonely Planet has updated the page with the latest information, including removing references to the Met Shop at the Town Hall, which closed last weekend, in favour of the new PTV Hub at Southern Cross. But even if you do look at the official Myki info, can you figure out what to do? Adapting from a system where you say up-front when and where you want to travel, and buying a ticket for precisely that, to one where you get a re-usable card, load money onto it, then use it up, is a big change, and even if you know precisely how the system works, it’s difficult. For instance, you’re arriving in Melbourne for a day. You know to buy a Myki, and can find somewhere to do so. How much do you load onto it so you don’t have too much left over when you leave? Let’s say it’s a Saturday. The maximum weekend fare is $3.30. So, you should load $3.30, right? This is not super-simple to understand. Then of course there’s the cost of the cards. $6 for an adult/$3 for concession. It may not seem like much, and I suppose it isn’t… for one person. But if you’re travelling in say a family of four, you’re suddenly looking at $18 plus the fares. For a short visit, or for locals who only use public transport once-a-year, this is a not insignificant outlay. And if you load up too much money on the card/s, it’s a hassle to get the balance back — the only way to get a refund is by cheque, taking 21 days — next to useless for international travellers. The third hurdle is availability. While Myki cards and topup are widely available (moreso than in Perth), there are some significant gaps. 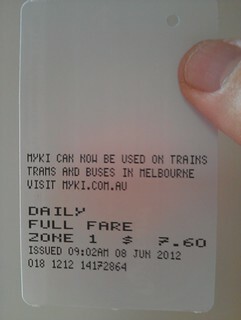 You can only buy buy only full-fare Myki cards at railway station/tram stop vending machines. To get a concession Myki you have to order it online or find a Premium station or retail outlet. 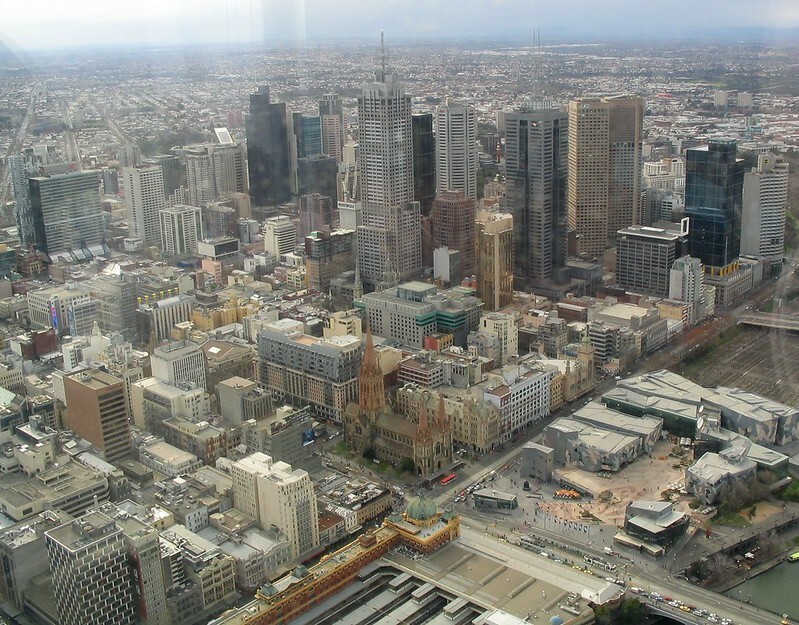 On trams, you won’t be able to buy or topup a Myki card at all. There will be no options to legally ride a tram unless you already have a loaded card. This presents an enormous barrier to occasional users who want to catch a tram. I know people who visit Brisbane and are happy to pay the much higher fare for paper tickets, knowing that Go cards are cheaper. 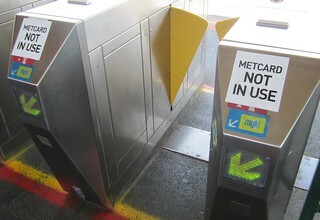 So it is too with Myki at the moment, while Metcards are available. 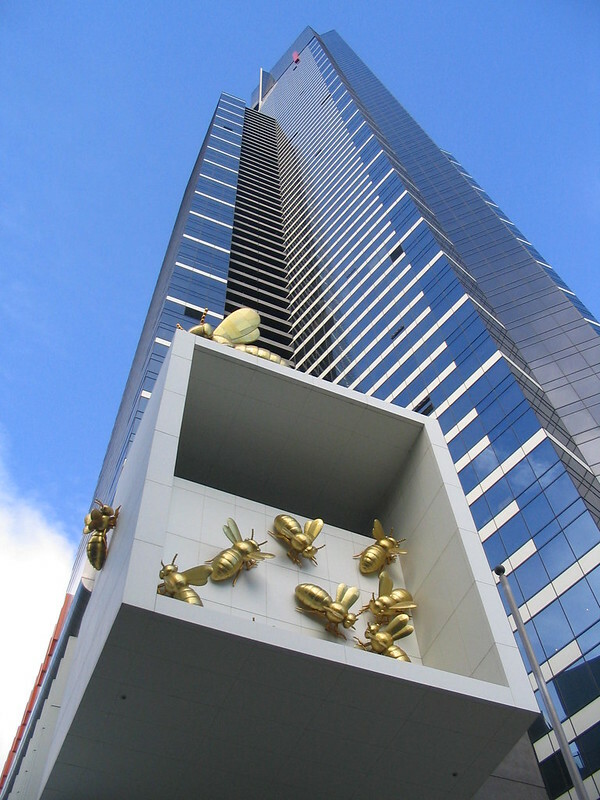 Not everybody wants that kind of souvenir of Melbourne. Not every local or regular visitor will be able to tuck it away in the drawer and trust themselves to be able to find it again when they need it. I’m sure the government would like every single Melburnian to have a loaded Myki card in their wallet, ready for use, and for every visitor to buy one too. The reality is somewhat different. Encouraging new customers to use your product — initially occasionally, perhaps, with the hope they’ll switch more regularly — means it has to be easy to obtain. I think there’s a real concern that the removal of all short term ticket options (particularly from trams) will make it too hard for new users to (legally) jump on board. Already I know of one dedicated motorist who, looking for any reason to stick to his car, is using the “you can’t buy a single ticket” excuse — even though it’s not quite true yet. How this plays out after December 28th is anybody’s guess. It will be fascinating to see what happens. Back in June, when you could still buy unvalidated Metcards (eg at railway stations) I bought a Zone 1 adult daily and popped it away. I am now selling it for charity, either for those of you who want to take one last train ride with one (yeah even though you can still buy one on a bus or tram) or people who want an unvalidated Metcard for their ticket collection (and were foolish enough not to buy one earlier). I was going to wait until December for this, but the window of opportunity to use it is shrinking fast, because railway station Metcard validators have started being removed, on the basis that almost every Metcard out there in use has already been validated. So instead, I’m going to ask for bids here, as a blog post comment. The reserve price is $7.60, the original price of the ticket. 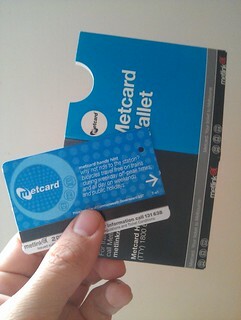 I’ll chuck in a pristine Metcard keepsafe wallet (a glorified cardboard envelope issued by Metlink). Fool your friends by keeping your Myki in it! The winner will be the highest bidder as at 8pm AEDT on Thursday 29th of November. If two of you manage to bid for the same amount, it’ll be whoever placed the bid first. I’ll contact the winner directly via email. If the winner bails out for some reason, I’ll chase the second-highest bidder. I’ll ask for bank deposit and send it as soon as the money comes through. I’ll pay the postage to anywhere in Australia.